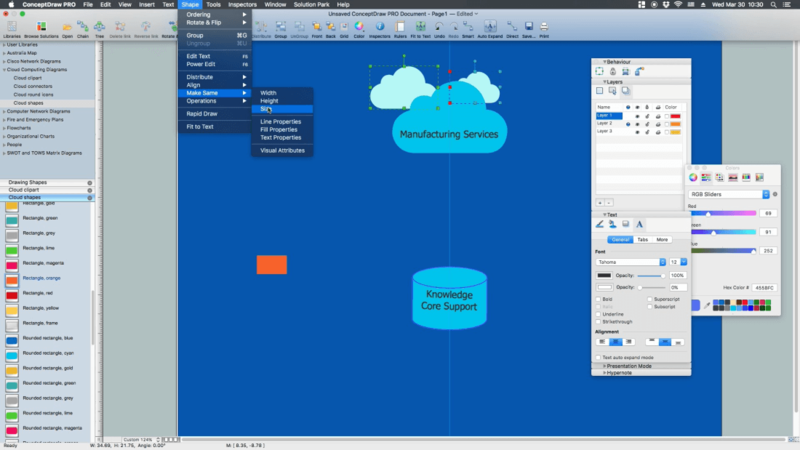 The term “cloud” is very popular and widely used now, it is a server, data processing centre, or a network which lets to store the data and software, provides access to them, allows to run applications without installation and gives the possibility to process data hosted remotely via the Internet connection. 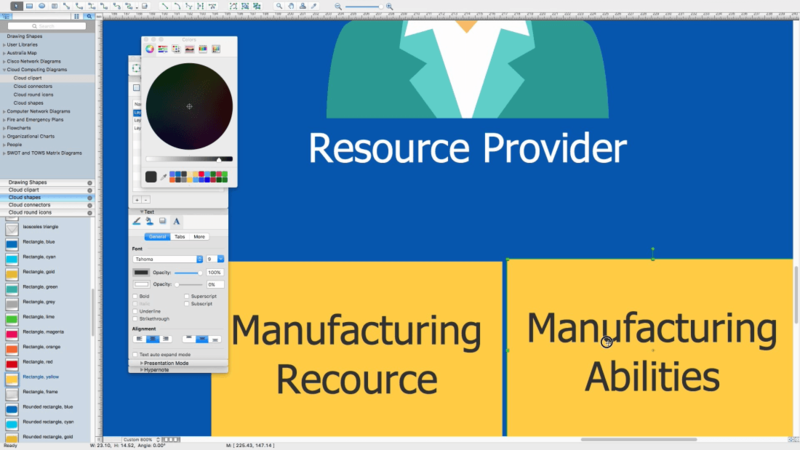 With increasing a competition, each manufacturing company strives to support flexible and scalable business processes, that's why the modern technologies, such as the cloud manufacturing, are so actively applied today. 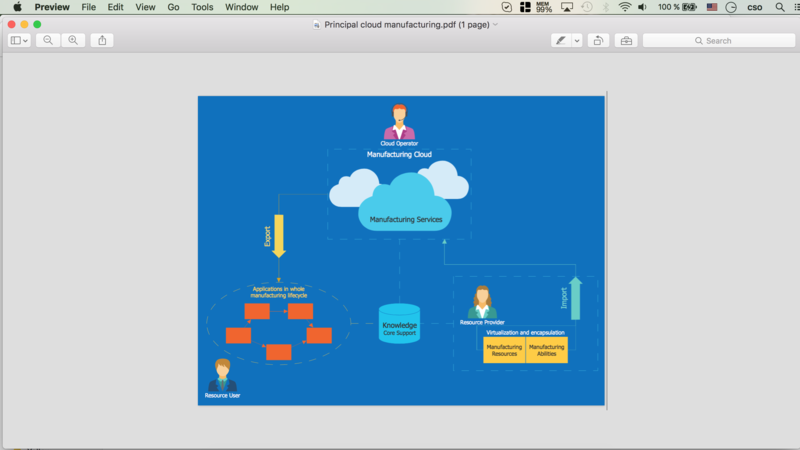 Cloud manufacturing (CMfg) is a new, relatively recently developed manufacturing paradigm. It is based on the service-oriented technologies and advanced computing technologies under the support of cloud computing, popular manufacturing models such as ASP, NM, AM, MGrid. 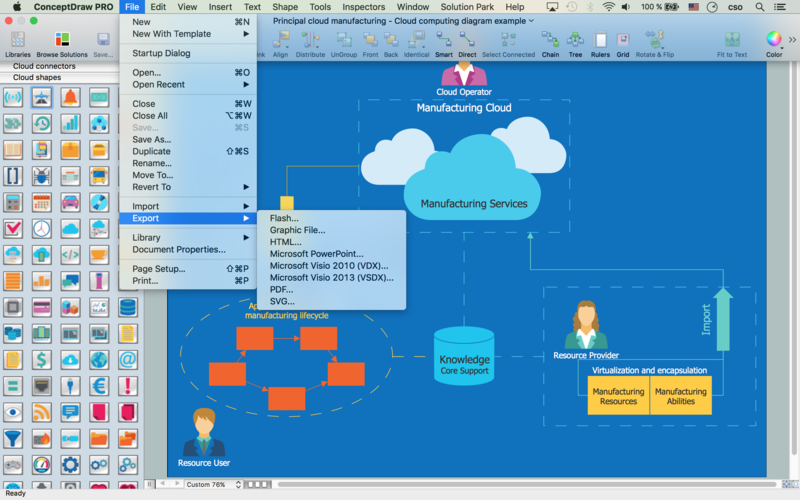 Cloud manufacturing are the high-quality, effective, safe, reliable, cheap, on-demand manufacturing services for the whole lifecycle of manufacturing. It includes all steps of a product lifecycle - design, simulation, production, test and maintenance. Cloud manufacturing offers the capabilities of intelligent management, lets to share and jointly use the manufacturing capabilities and resources, transform them into the manufacturing services, the on-demand use of services is offered for all users involved to this manufacturing process. 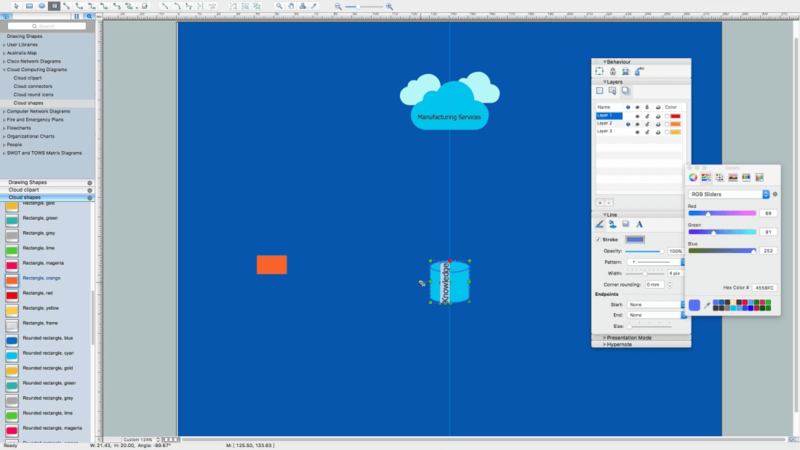 Succeed in design Cloud Computing Diagrams, visually represent how cloud computing works and depict professionally Cloud Computing Architecture, with powerful tools of Cloud Computing Diagrams solution for ConceptDraw DIAGRAM software. 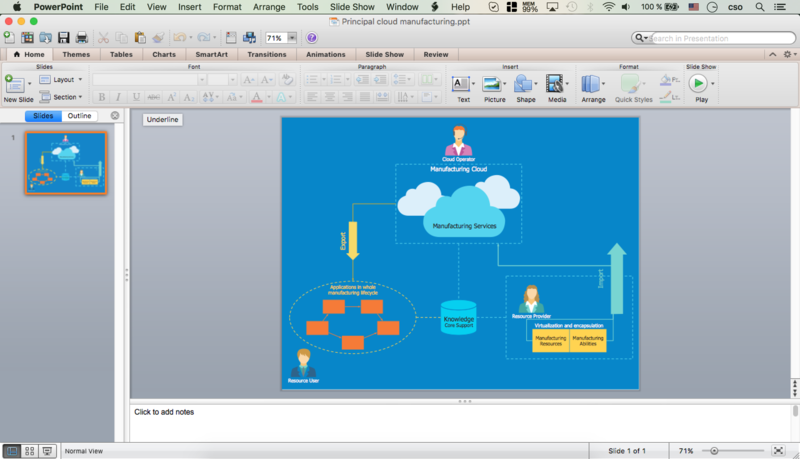 Let's see how to build the Cloud Computing Diagram on the example of building the Principal Cloud Manufacturing. 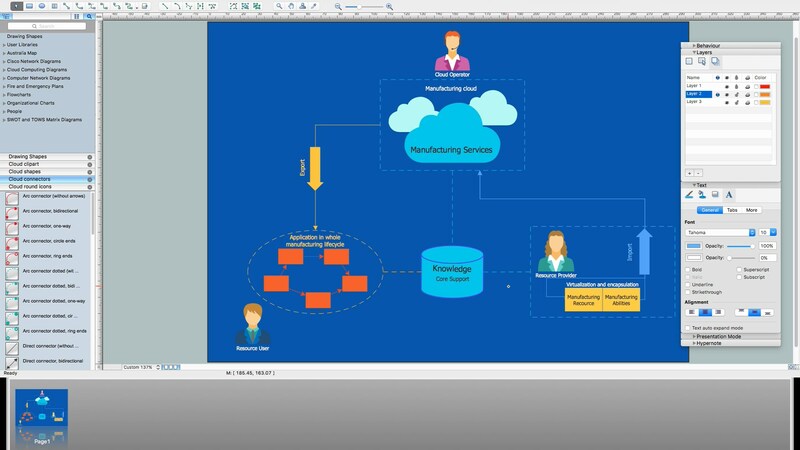 Here is represented the chain of easy steps you need to follow for designing professional looking and attractive diagram representing the cloud manufacturing. Glue shape center to guide - glued points are marked in red. 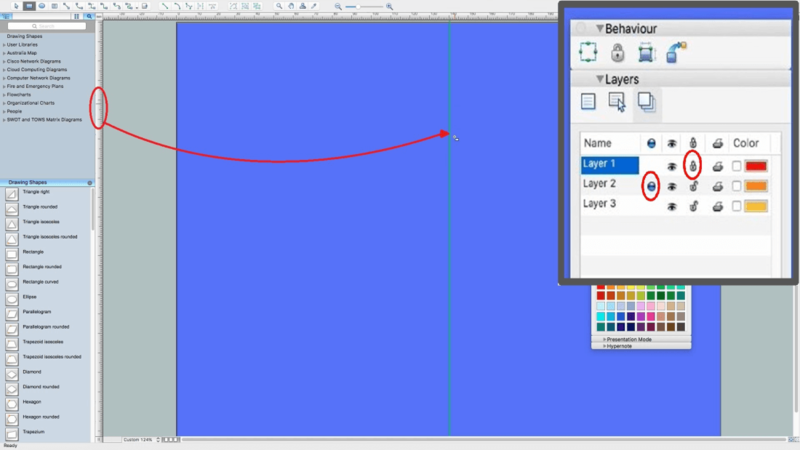 Move label - grab yellow diamond point with T.
Change background rectangle color using Color Slider. 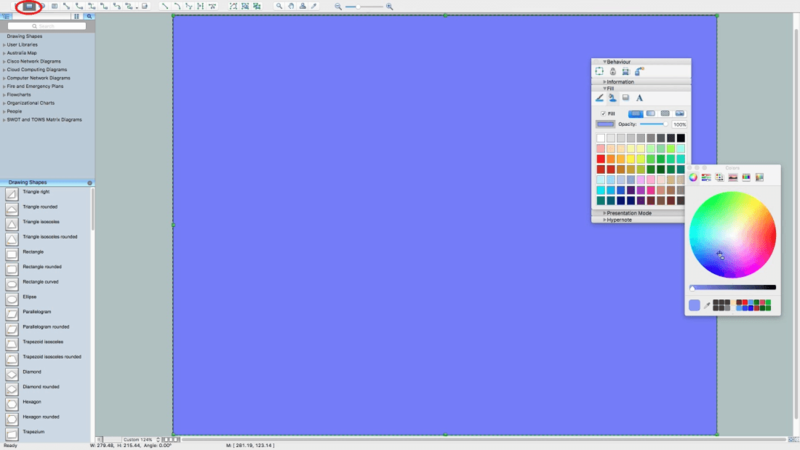 Also you can set a specific color in RGB, CMYC, HSB systems ets. 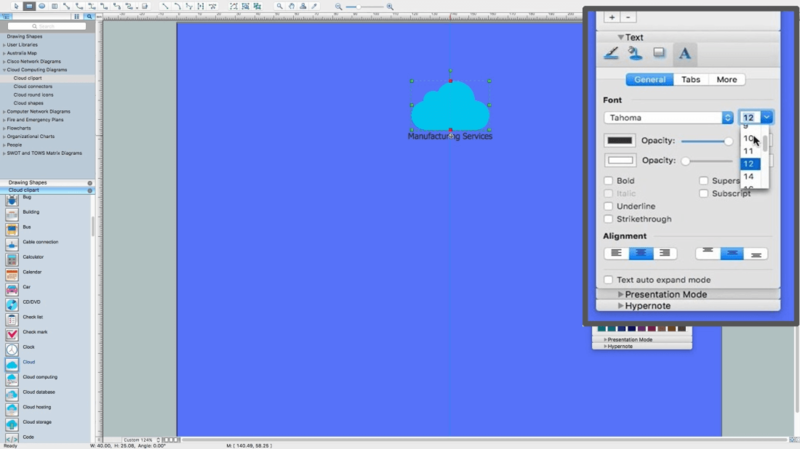 Add more shapes, connectors, text etc. 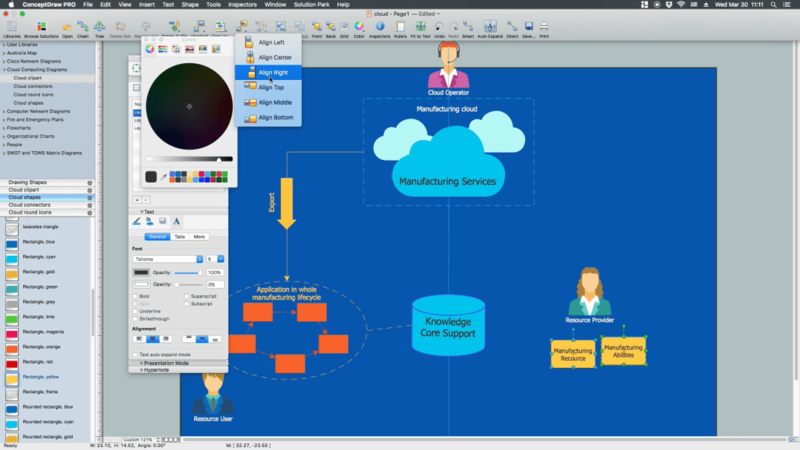 This Cloud Computing Diagram depicting the Principal Cloud Manufacturing is designed fast and easy thanks to the powerful drawing tools of ConceptDraw DIAGRAM software and numerous predesigned vector objects offered by the libraries of Cloud Computing Diagrams solution. 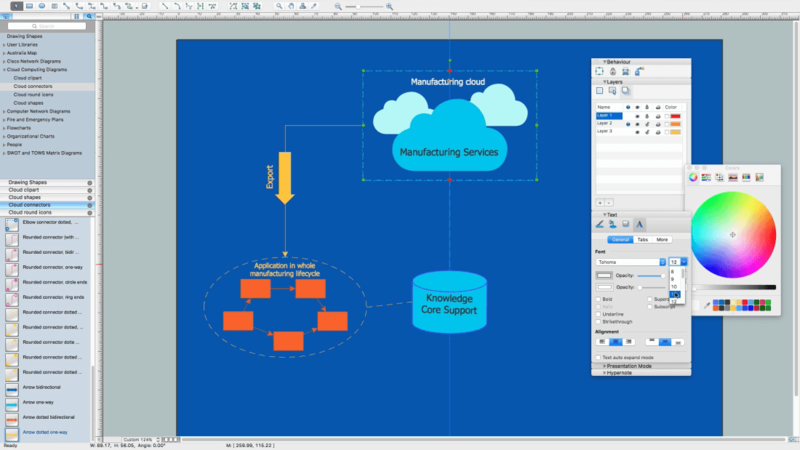 It is a perfect example of fast and easy building processes in ConceptDraw DIAGRAM drawing Cloud Computing Diagrams and displaying the use of cloud manufacturing for streamlining manufacturing processes. 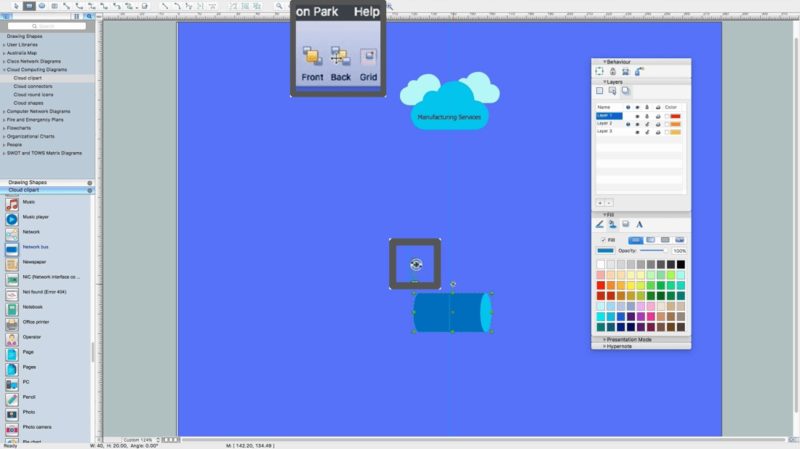 Design with pleasure your own cloud-based systems and draw your own professional-looking, vivid and attractive Cloud Computing Diagrams with help of Cloud Computing Diagrams solution for ConceptDraw Solution Park. 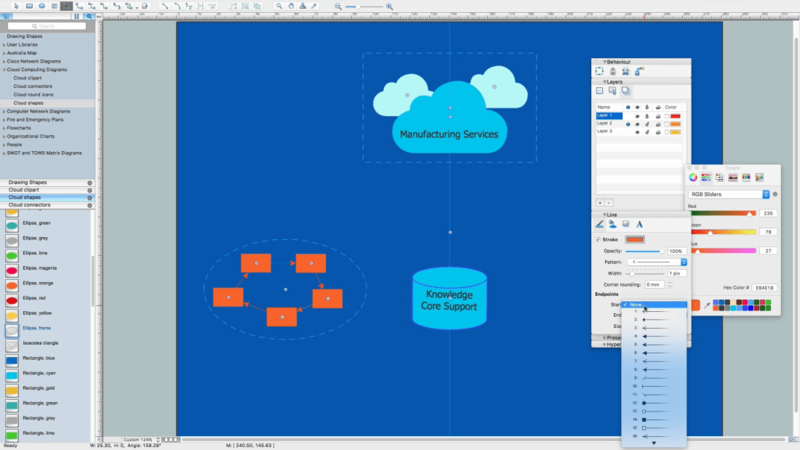 Make easier developing the cloud-based strategies in manufacturing and distribution industries, also in sphere of services with ConceptDraw DIAGRAM software. 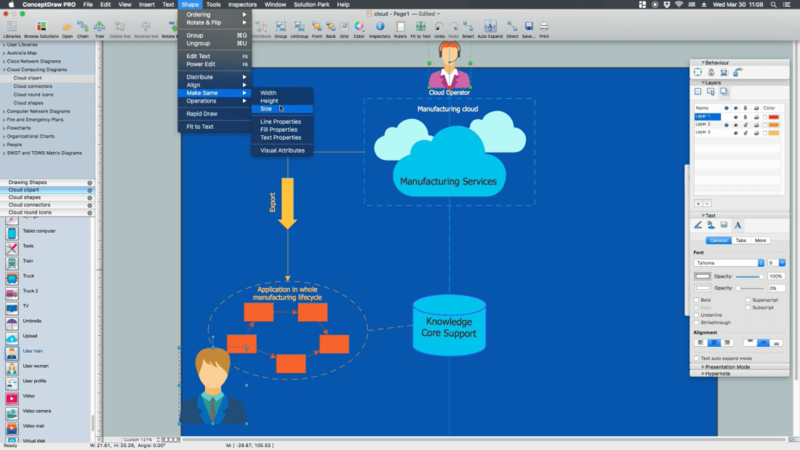 Use the cloud manufacturing for successful automatization customer services and optimization key areas in business field, create the cloud-based Human Resource Management (HRM) systems and Enterprise Resource Planning (ERP) solutions for manufacturing, apply the cloud manufacturing technologies in industrial, aerospace and defense industries. Samples, templates and libraries contain vector clip art for drawing the Aerospace Illustrations. 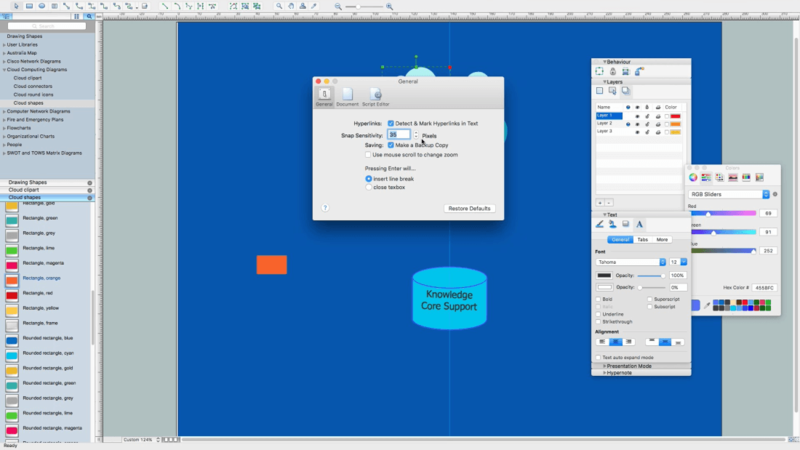 The Audio & Video Connectors solution contains a set of pre-designed objects, libraries, templates, and samples; allowing quick and easy diagramming of various configurations of audio and video devices. A flowchart is a powerful tool for examining processes. It helps improving processes a lot, as it becomes much easier to communicate between involved people, to identify potential problems and to optimize workflow. 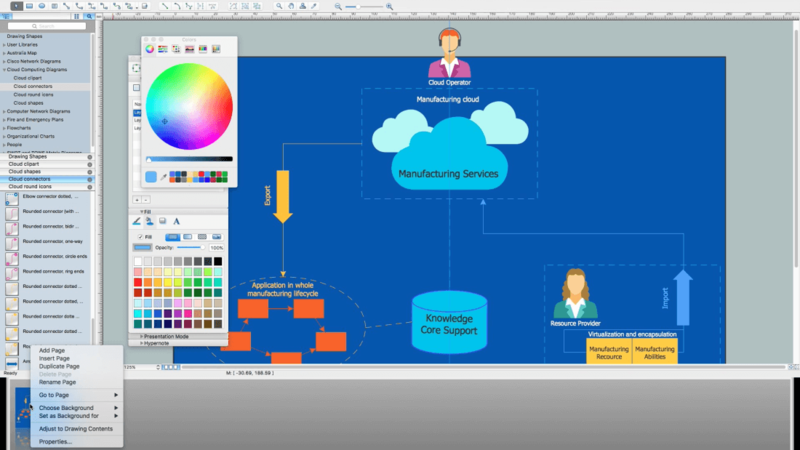 There are flowcharts of different shapes, sizes and types of flowchart vary from quite basic process flowcharts to complex program flowcharts. 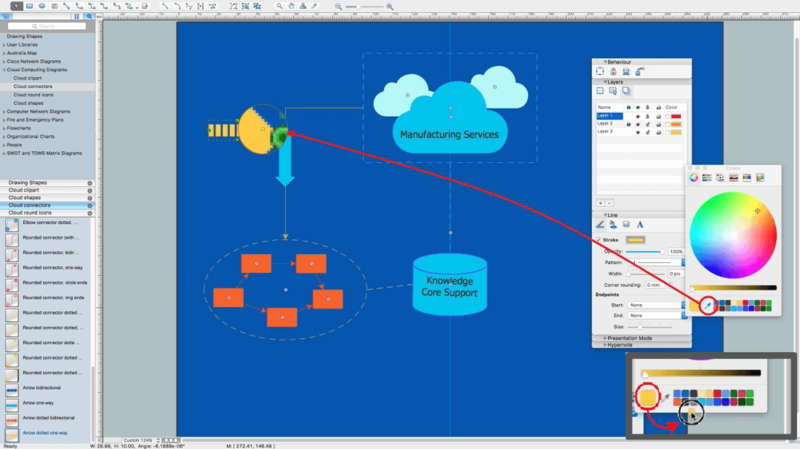 Nevertheless, all these diagrams use the same set of special symbols like arrows to connect blocks, parallelogram to show data receiving or rectangles for showing process steps. Basic flowcharts are used to represent a simple process algorithm. A basic flowchart notation consists of rectangles (business processes), arrows (the flow of information, documents, etc.). The same notation is used in items such as the "decision", which allow you to do the branching. To indicate the start of the entire business process and its termination can be used the "Terminator" element. 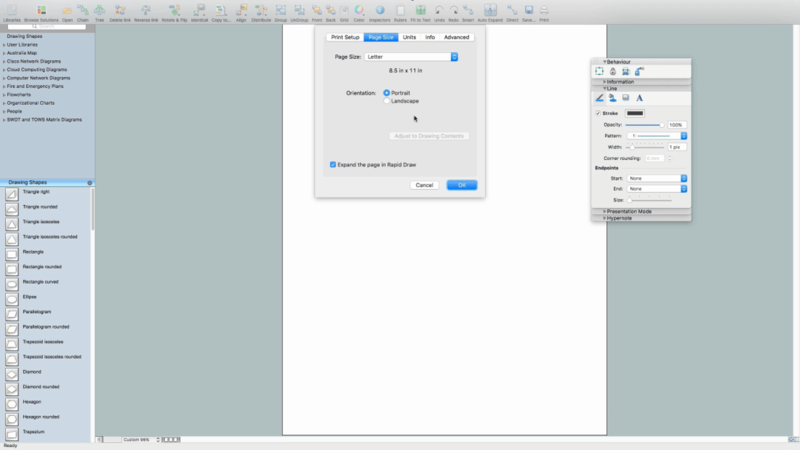 The advantages of Basic Flowchart are simplicity and clarity. With it you can quickly describe the business process steps. 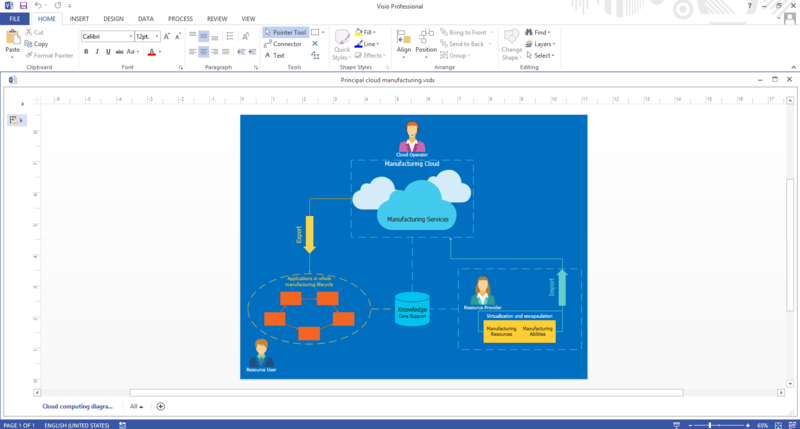 Creating of Basic Flowchart does not require any special knowledge, as easily understand by employees with different levels of education and IQ. What illustrates a technical flow chart? Technical flow chart is a diagrammatic representation which visually illustrates the sequence of operations that must to be performed to get the problem's solution. 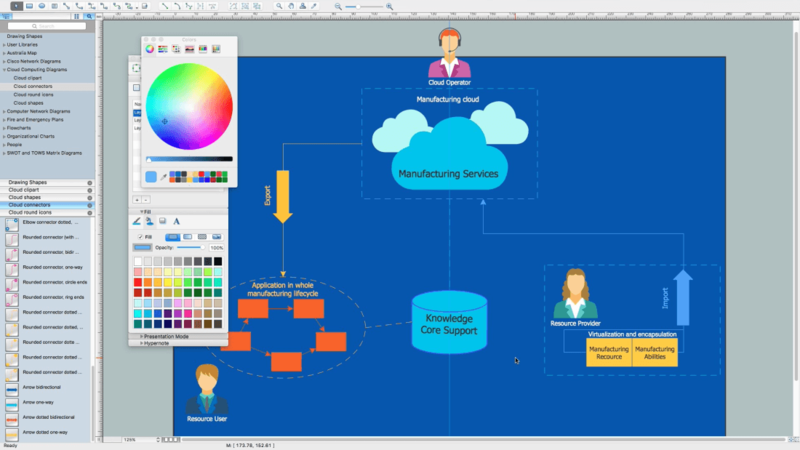 ConceptDraw DIAGRAM v12 enhanced with Flowcharts Solution from the "What is a Diagram" Area of ConceptDraw Solution is a perfect software for drawing Technical Flow Chart Example illustrating the essence and importance of the technical flow chart use.